Cape Town - The Proteas women will open the England women's 2018 summer of international cricket with a three-match One-Day International (ODI) series followed by a four-match T20 International triangular which will include New Zealand. The tour will take place from June 9 to July 1 2018 across six venues in England. All of the matches in the ODI series will form part of the ICC Women's Championship, the qualifying tournament for the 2021 ICC Women's World Cup, while the T20 series will play an immense role in preparing South Africa for the 2018 ICC Women's World T20 which is due to take place in the West Indies next November. 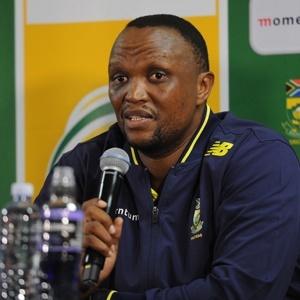 Proteas coach Hilton Moreeng is delighted at the opportunity this gives his charges to compete one-on-one with the defending World Champions and believes that it will be a major stepping stone for the team leading up to the World T20. "This upcoming England tour is thoroughly welcome from our side as it is an opportunity for players to continue the building blocks towards the 2021 World Cup and even closer and more pressing, the World T20 in November next year," he said. "By then, we'll have concluded a couple of important tours ahead of the road to England, the West Indies and beyond. "The talent in this team is undoubtable and having a blueprint of where we want to be in the next four years, all the players are aware of their role in the side and what is required of them. This tour will just be another opportunity for them to take another step in the right direction." Adding further to the excitement of the tour is the confirmation that every match in both series will be broadcast live on Sky Sports and BBC Radio. Moreeng applauds this move by the England Cricket Board (ECB), stating that the exposure from this tour alone will give the women's game and the Proteas good exposure. "It's very exciting to have all our games televised," he continued. "The exposure is priceless for the women's game and helps spread the message of the sport far and wide a lot quicker and easier. "We are really looking forward to showcasing South Africa's talent in front of such a massive TV audience once again and hope to give fans watching at home a lot to cheer for from a Proteas point of view." Cricket South Africa on Monday, also announced the selection panel for the national women's team. The Panel was established to scout talent in the country which was divided into four regions, namely Central (Free State, KwaZulu-Natal, Northern Cape), North (Northerns, North West Limpopo, Gauteng, Mpumalanga, Easterns), Eastern Cape (Eastern Province, Border) and Western Cape (Western Province, Boland and South Western Districts). The Selection Committee comprises four voting members and the Proteas head coach Moreeng as an ex-official member. Clinton du Preez (Western Cape) will assume the role of Convener of Selectors, with Boeta Dippenaar (Central), AJ Rudman (North) and Claire Terblanche (Eastern Cape) making up the remaining places.